Hang about – isn’t the whole show about her? Yes, Meredith Grey was the jumping off point for ABC’s hospital drama Grey’s Anatomy. I mean, it’s in the title. But as with all good trampolines, they sometimes take a lot of impact. It’s fair to say Meredith has been given the brunt of bad luck and misfortune across the ten years. She’s also taken a back seat at times, allowing other characters the chance to bemoan their privileged existence. With season eleven around the corner (really? didn’t season ten just end?! ), ABC are gearing up to make the next episode-run better than ever by dropping a new teaser and artwork. 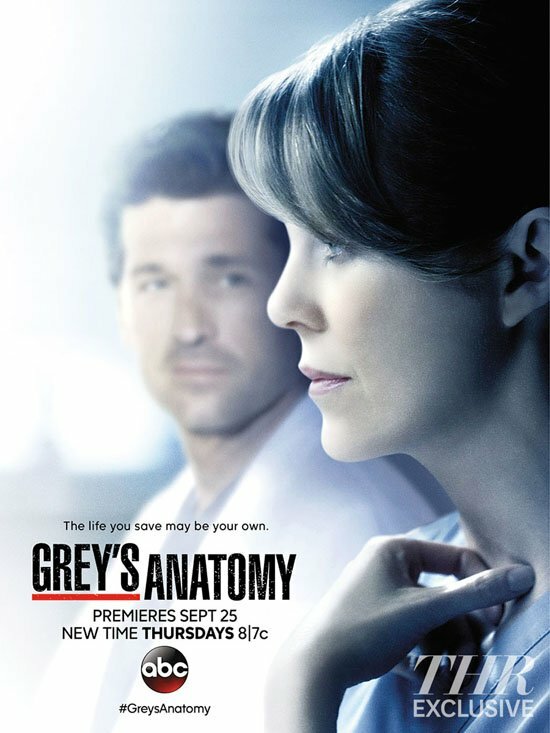 “Hold onto your hearts,” warns the brief promo for the upcoming season, before cutting to a few shots of Meredith seething. It’s clear the network are trying to set up the possibility amongst fans that she and husband, Derek, won’t survive. “I don’t think my marriage can take it,” Grey says, referencing the season ten cliffhanger which saw McDreamy land a job in Washington D.C. At the advice of her best friend Christina, who’s since flown the nest, she opts to stay in Seattle for the sake of her career. Grey’s Anatomy returns to ABC at 8pm on September 25th.